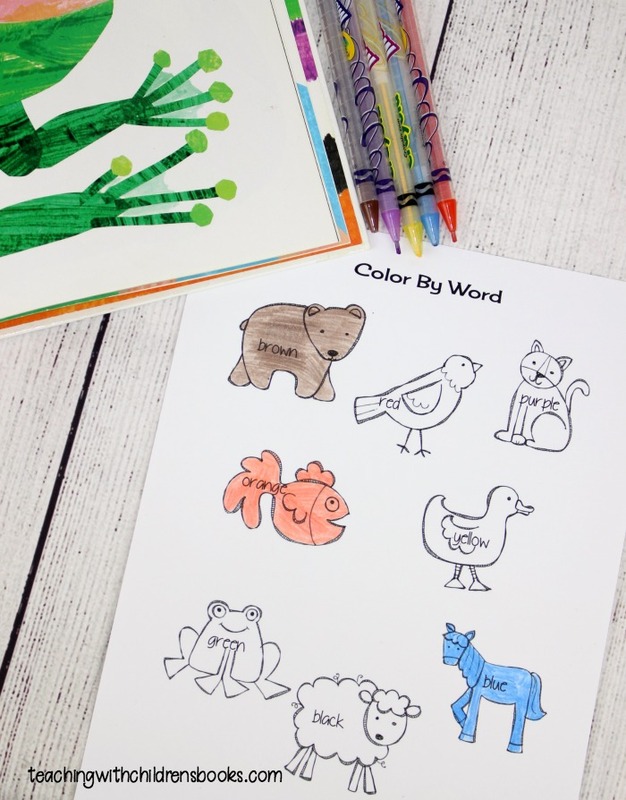 What could be more fun than learning colors with these Brown Bear Brown Bear activities? 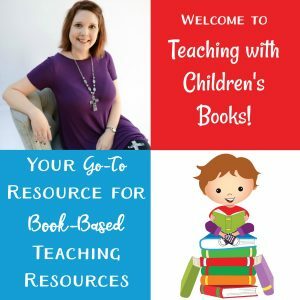 They’re perfect for your toddlers, preschoolers, and young learners. I’ve not met a young learner yet who didn’t love Brown Bear, Brown Bear What Do You See? by Bill Martin, Jr. His rhyming text paired with Eric Carle’s artwork, make this book a childhood classic! Follow along with Brown Bear as he encounters many colorful animals. Then, a surprise encounter at the end of the book will make your little ones giggle. 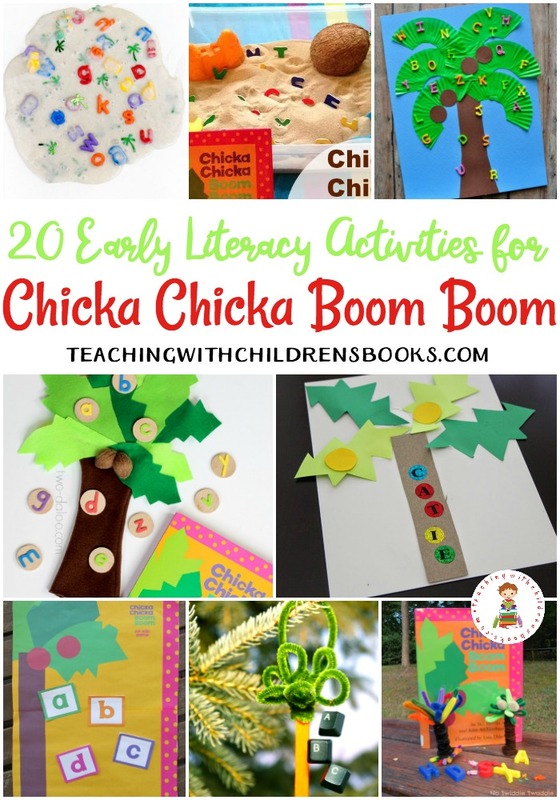 Of course, the first place to start with these activities is to read the story aloud to your young learners. The colorful artwork and rhyming text are sure to engage your listeners from the first page. After listening to the story, review each of the animals and its color. Then, share this fun learning pack with your learners. 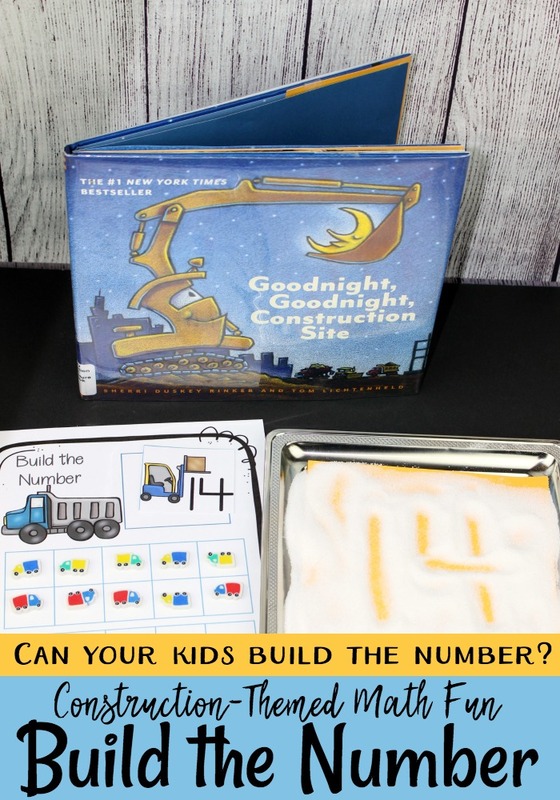 The activities in this pack will work for toddlers, preschoolers, and those students just learning to read. 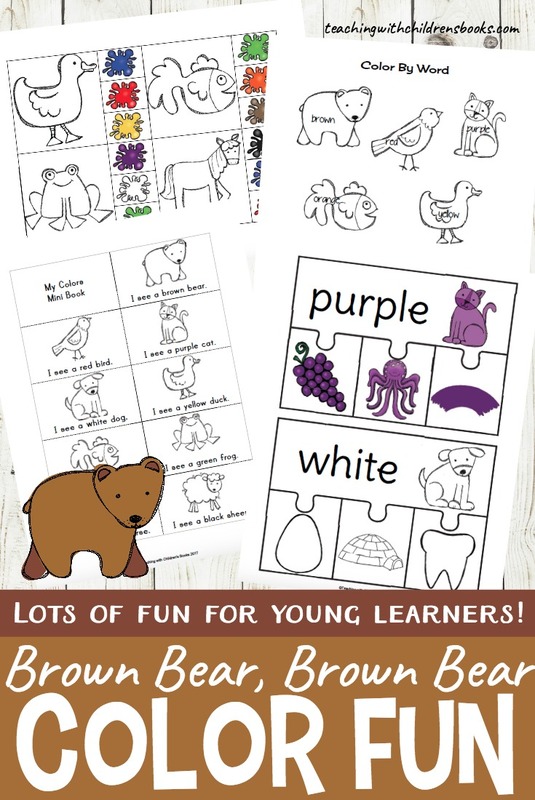 This pack of Brown Bear Brown Bear activities includes nine color puzzles. 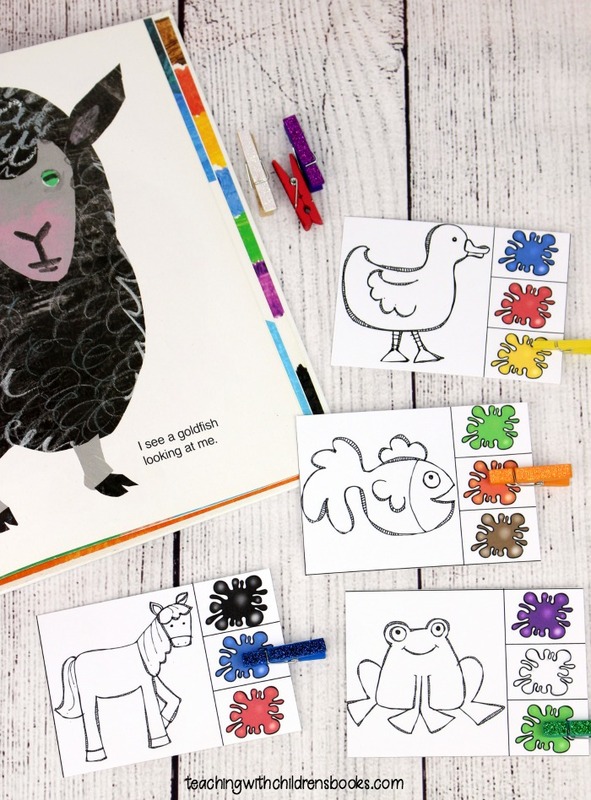 Each of the four-piece puzzles includes the main piece which features a color word and animal from the story. The puzzles also feature three items that are the same color. I suggest printing the puzzles on cardstock and laminating them for durability. Cut each puzzle into four pieces. Students will match the color items to the main piece – the one with the color word and animal from the story. 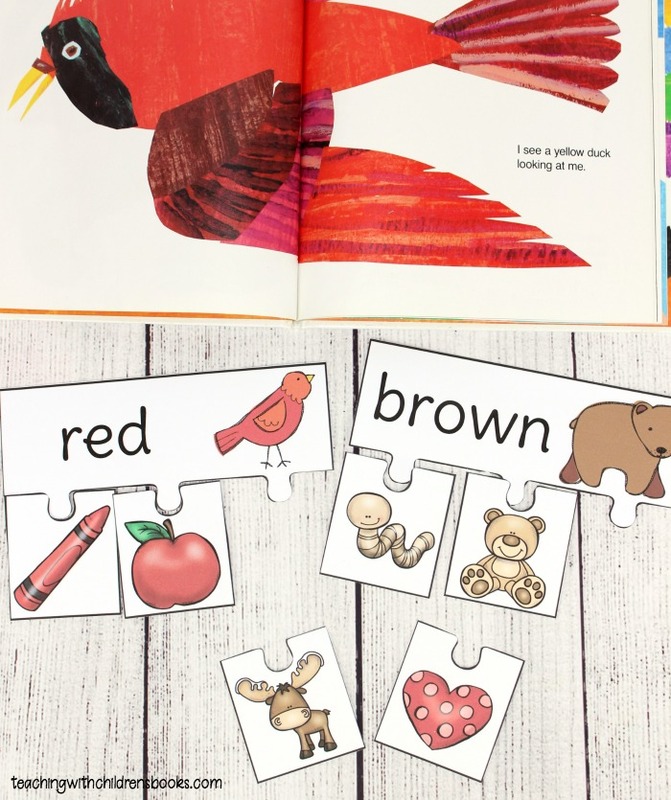 Students will read the color words on each animal on the page. They’ll then color each animal according to the color word. This is a fun book for young learners to complete and read. 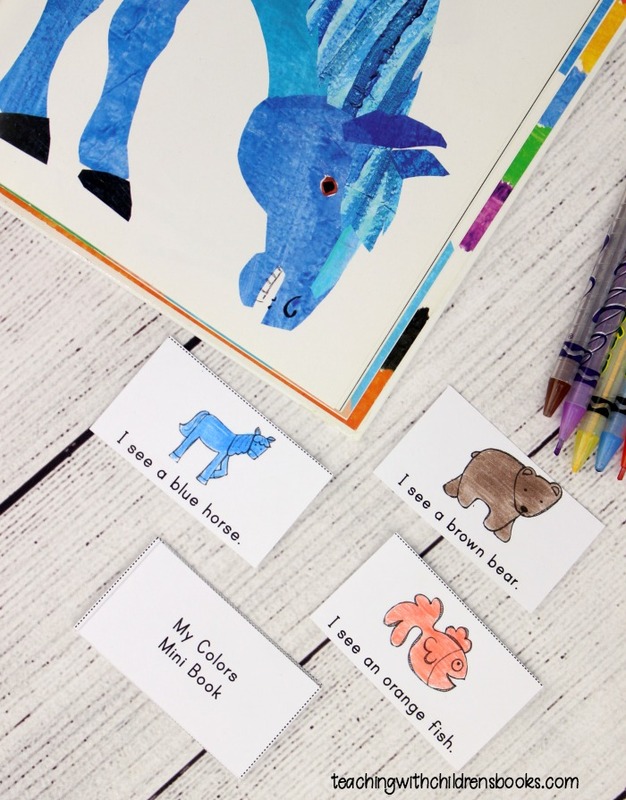 Students will read the sentences under each animal. Then, they’ll color the animal to match the sentence they read. Once the book is complete, cut the pages apart and staple them along the left margin. Have your learners read the book back to you or to a friend. 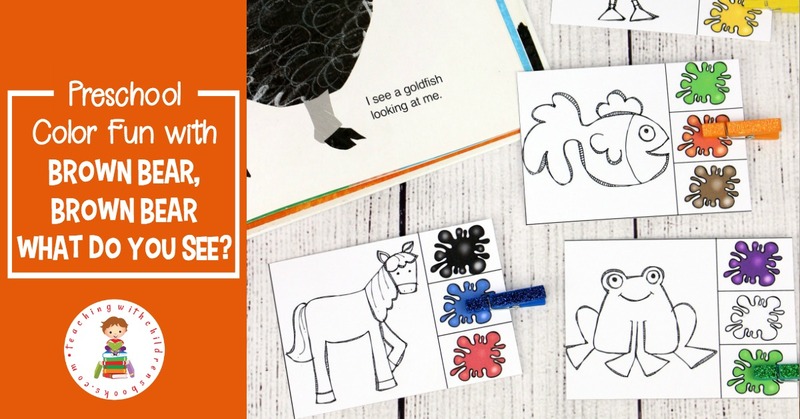 In this activity, students will look at the animal featured on the card. Using a clothespin or paperclip, they will identify the correct color of each animal. Clip cards are great fine motor activity. These are a great way to build hand muscles. If you don’t have clothespins or paperclips on hand, you can use small items such as erasers or buttons to identify the correct color. 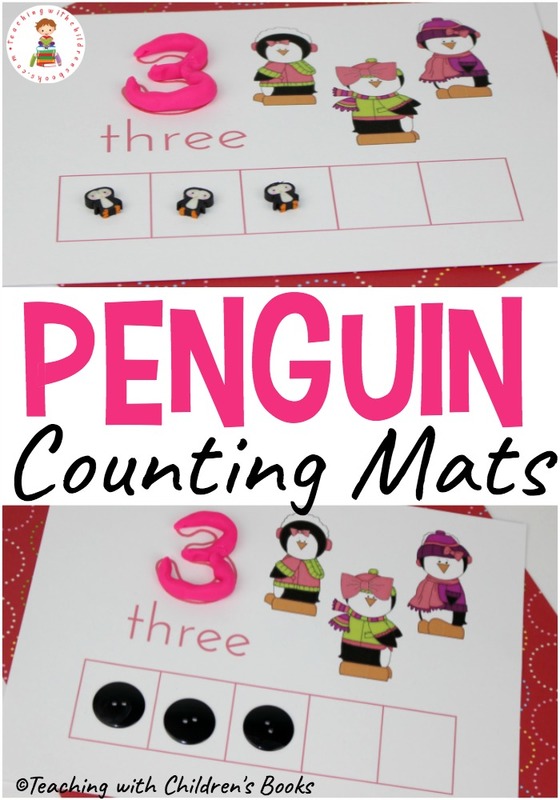 These activities are great for introducing and/or reviewing colors with your young learners. This pack of engaging learning activities is sure to provide hours of learning fun! Download the Brown Bear Brown Bear activities. My son loves this book. It was a gift from a dear friend and co-worker. How adorable and very useful. Thank you.